Mental health is a pressing concern around the world with many consumers turning to health enhancing ingredients to help relieve a range of conditions including stress, anxiety and insomnia. 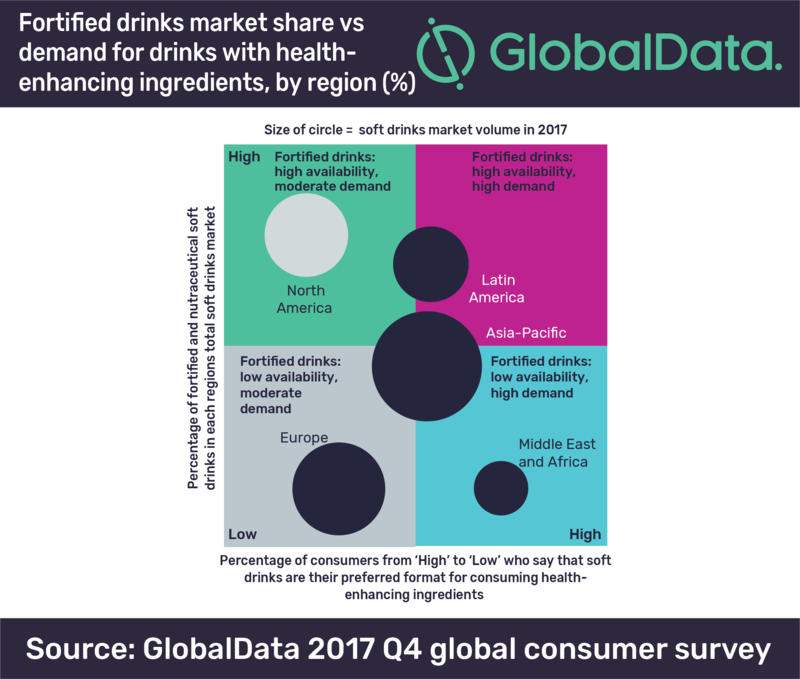 Whilst the food and beverages industry is awash with products that deliver on health, wellbeing and energy, mental health related new product development (NPD) has lagged behind with demand for these types of products varying amongst regions, says GlobalData, a leading data and analytics company. Consumer research from GlobalData’s latest report, ‘Top Trends in Healthcare and OTC Products 2018 – The latest trends in: OTC medication; vitamins, minerals, and supplements; functional food and drink; and sports nutrition’ reveals that 67% of North American consumers say that stress is a pressing mental health concern followed closely by overwork (59%) and insomnia (57%). William Grimwade, Consumer Analyst at GlobalData comments, “There is clearly an opportunity for beverage manufacturers in North America to develop products with mental health enhancing functionality. Health drinks have often been characterised as simply low sugar or energy boosters fortified with caffeine, vitamins or minerals. Mental health is a growing concern, but fortified drinks rarely address this need. However, ingredients such as Gingko Biloba, Turmeric and Lecithin are increasingly being used in this field with companies like Coca-Cola investing in new emerging ingredients like Cannabidiol or CBD oil.